May be used for measuring diapers, internal organs, as well as food service applications. 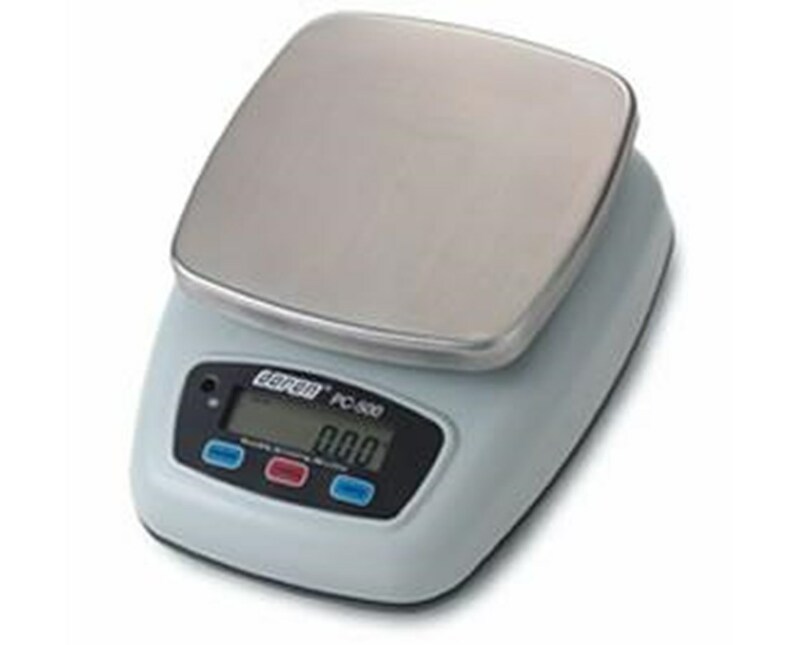 The PC-500 scales are well-suited for measuring diapers, internal organs, and food service applications. The IP66 water resistance allows thorough sanitizing. This model features a soft silicone seal that protects against wash-down spray, a necessary cleansing method. The stainless steel tray may also be removed for intense disinfecting. This NTEP and NSF approved scale incorporates the "Quad Spring" platform protection that provides overload defense to avoid overload damage. Six D batteries have been included for your convenience. A one year warranty ensures that you will receive proper care and service quickly and efficiently. 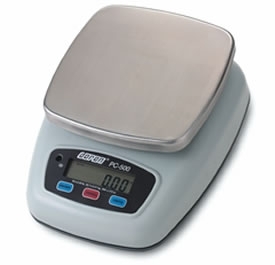 This scale may be purchased with a weight capacity of either 5 lbs. 10 lbs. and 25 lbs. Please make your selection from the drop down menu above. For additional scale accessories, please click on the Related Items tab to view other pertinent items. Tray may be removed for intense sanitizing. 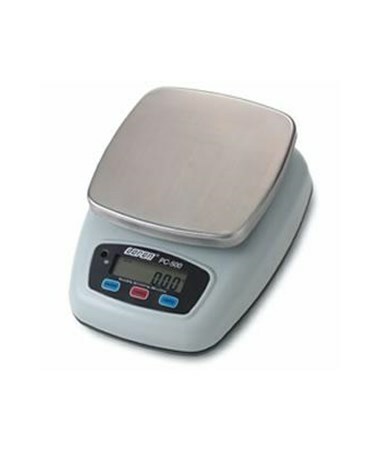 Scale 12.75" x 9.75" x 5.26"
Weight Limit 5 lbs. / 10 lbs. / 25 lbs. Accuracy 0.002 lbs. - 0.01 lbs.